Mold and mildew are a common occurrence in homes and businesses. Both of these nuisances tend to develop in damp, wet, and humid areas like the bathroom. The problem with mold and mold removal is it can be a health hazard, especially for major infestations. Mold can irritate allergies, cause asthma attacks in asthmatics, and irritate nasal and respiratory passages so we sneeze, cough, and have runny eyes. Most homeowners are fully capable of treating minor infestations in the home. However, if you are asthmatic or have allergies irritated by mold, it is better to leave mold removal to a professional, no matter the size of the infestation. The easiest way to treat small infestations is with household cleaners designed to kill mold and mildew. Mildew is a form of mold that will continue to grow and become larger if left untreated. When cleaning areas, like in between the grout lines in wall tiles in the bathroom, make sure to use protective equipment, like rubber gloves, a face mask, and goggles to keep mold spores from getting on your body, into your nasal and respiratory passages, and into your eyes. Start by spraying the mold with an approved cleaner and allow it to sit for several minutes to loosen up the mold. You will want to use a sponge, toothbrush, or other soft bristled item to scrub and really get into cracks and crevices. Work slowly, and clean one area at a time. Rinse your sponge or toothbrush in a bucket of lukewarm water. Continue working on the area until all signs of the mold and mildew are gone. Thoroughly rinse showers, tubs, and sinks with clean water. Last, re-spray the areas with the cleaner and allow it to air dry. In the bathroom, it is beneficial to treat the areas you just cleaned every time you shower or bathe to prevent the mold and mildew from returning. You should also get into the habit of cleaning these areas on a weekly basis. For other areas of the home with minor infestations, where the mold and mildew are growing on walls, ceilings, baseboards, or flooring, you can still use an appropriate household cleaner. 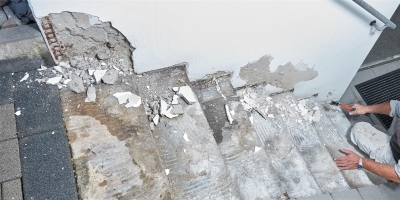 Just keep in mind you may want to treat a small area first to test for discoloration, or be prepared to invest in mold repairs after the mold is removed, which could include repainting the walls or replacing sections of drywall. Once you have treated and removed the mold, dispose of sponges and toothbrushes by putting them in a zip-locking plastic bag and tossing them into the trash. You do not want to keep these items, as the mold spores are now in these items and can continue to grow. If you have an attic in your home and notice mold growing on the ceiling near, around or at the entry access to the attic, you will want to take precautions before accessing the attic, like wearing a face mask, goggles, and protective gloves. You will want to initially inspect the size of the infestation in the attic and see if it is a minor infestation, such as just around the access door, or a major infestation that has spread throughout the attic’s structures. Two of the most common causes of mold infestations in the attic are from leaky roofs and under-insulated attics. With leaky roofs, water is getting into the home and feeding the mold and allowing it to grow. For under-insulated attics, the changes in temperatures between the outdoor air and indoor air are creating humidity, which causes dampness and will feed the mold. If the problem is just in a small location, you will need to treat and remove the mold first, using a household cleaner, then make the necessary mold damage repairs, like adding extra insulation around the entry door or having the roof leak fixed. Another area of the home that can be prone to mold infestations is your basement. Basements tend to be on the damp side. One way to prevent mold in damp basements is to use a dehumidifier to remove excess moisture from the air. The easiest way to keep dampness out and stop mold is with basement waterproofing services to seal walls. 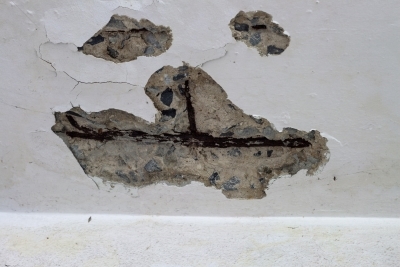 You might not know this, but concrete can let water seep through and appear wet due to changes in temperatures and wetness problems under the home’s foundation or along the exterior support walls. 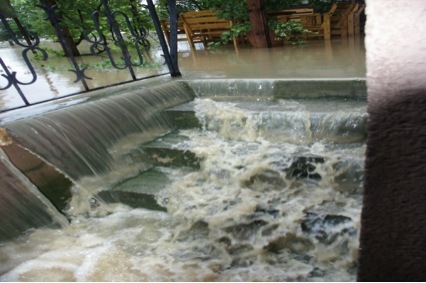 Black mold from water damage can also occur in basements and homes that have been flooded recently. Again, waterproofing your basement will help address and prevent these and other types of issues. 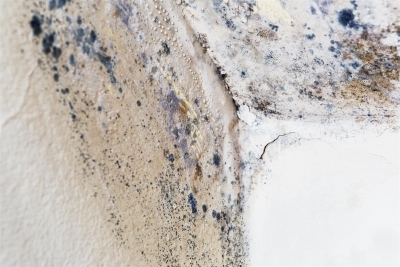 If the mold returns in the same location or near it, it is often because you have not identified or treated the source of moisture feeding the mold. While you could certainly re-treat the mold a second time and remove it again, it will more than likely just return. Identifying the source of moisture can be difficult, especially if the mold problem is not in your bathtub or shower. One of the main causes of returning mold infestations is due to a slow-leaking water pipe or water line. You will want to check all the pipes you can easily access for signs of leaks and have these repaired or replaced to stop the leak, then re-treat the mold. If it does not return, then this was the source of dampness causing the mold. If it returns again, then there is a secondary source of moisture that is still feeding the mold. 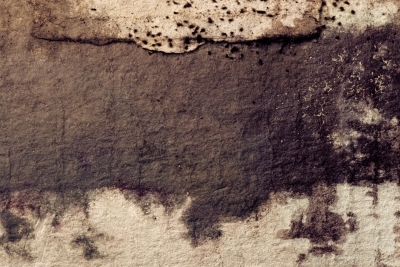 The source of dampness or water could be difficult to find, especially when it is occurring behind a wall or in another area of the home without easy access. If there is mold behind the walls in your home, treating the exterior where you can see it will not get rid of the problem but only cause it to grow out of control behind the walls and result in the mold reappearing on the exterior side of the walls. It is recommended to use professional mold remediation and removal services for major mold infestations in the home. With major infestations, the health hazards are much greater, compared to minor infestations. As mentioned earlier, you should also use professional removal services if you are asthmatic or have severe allergies, even for minor infestations. It is essential to get rid of the mold as quickly as possible, while, at the same time, to identify the source and resolve it. Your remediation technician understands how mold forms and develops and how to spot the source of dampness and moisture feeding the infestation. The proper safety equipment is used. The mold and mildew infestation is properly treated and removed, no matter how big or small. Recommendations are made on how you can prevent future infestations and control mold and mildew growth inside your home, such as waterproofing the basement, foundation repair, or having a sump pump installed. 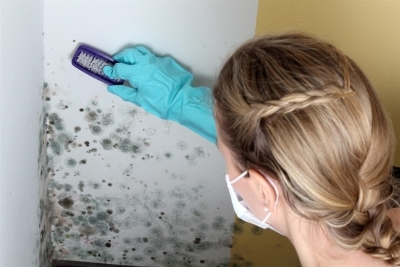 If you are having problems treating and removing mold from your home or notice the mold keeps returning, it is time to call in a professional to help you determine what is causing the mold. In the Baltimore area, please feel free to contact us, here at Budget Basement Waterproofing, and request a free in-home consultation by calling (410) 609-1240 today! In addition to mold removal, remediation, and repair services, we also offer affordable solutions for basement waterproofing, basement drainage systems, crawl space waterproofing, sump pump installation, and more to help keep your home dry.